A blessing so precious deserves a gift worthy of it. Your godchild is indeed precious. This Crystal Dream Baptism Bracelet is a gift fitting for the child. It is made from white Swarovski simulated pearls, and has a silver cross charm. 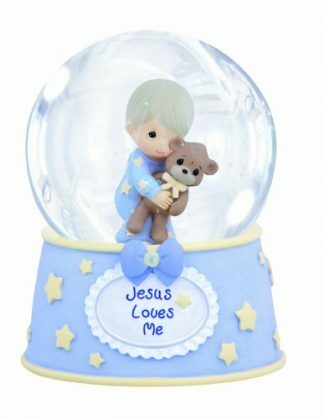 Indeed, this is gift is as precious as your godchild. 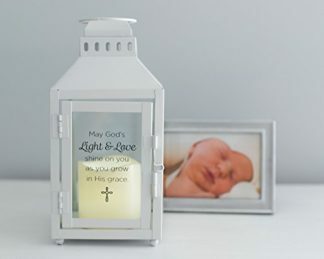 Baby dedications, christenings, and baptisms are very important moments not only for the baby, but also for the parents. Since it is a celebration of the life of their precious miracle, they would want the affair to be something worth remembering for the years to come. If you are one of the invited guests to join on this memorable occasion, then you are probably here to look for the right gift to give. If you are out for that kind of gift, then here is one thing that fits your need. This Crystal Dream Baptism Bracelet is a beauty to behold. 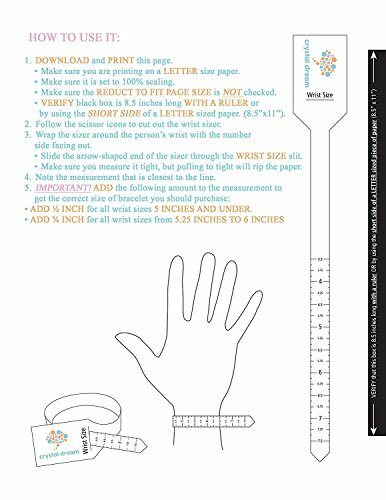 This bracelet is European inspired design, and is stylish and modern enough to be used by both boys and girls. 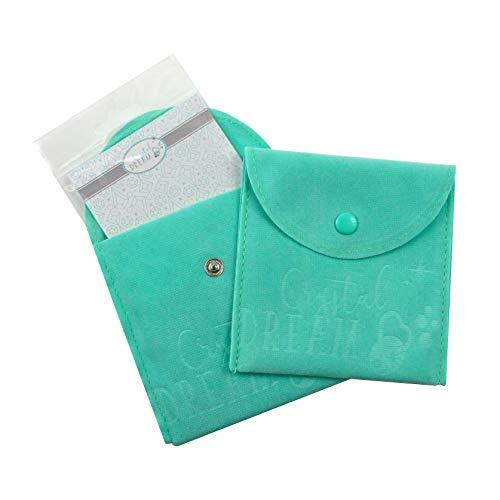 Its modern and neutral colors are really stylish for a unisex option. It is also very easy to clean. You only need to wipe it down with baby wipes or with a damp cloth. 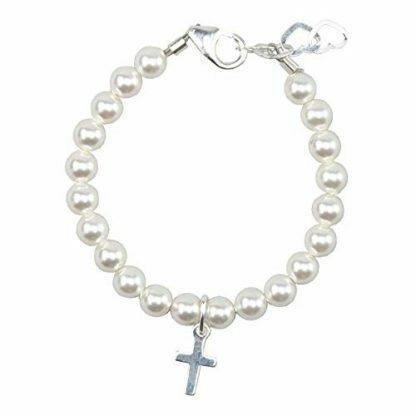 This beautiful bracelet is made with simulated pearls, and is adorned with white Swarovski and a sterling silver cross charm. It is compliant to safety standards set for children’s product, and complies with the The Consumer Product Safety Improvement Act (CPSIA) / U.S. Consumer Product Safety Commission (CPSC) requirements. Also, it is free from Bisphenol A (BPA), Polyvinyl chloride (PVC), Phthalates, and Lead, making it a very safe choice to give to a baby. While it would be greatly appreciated to give something that will be practical and will be able to help the parents out (like a jumbo pack of diapers or baby wipes), there are just gifts that are valued not by their usefulness or their practicality, but for their value and beauty. 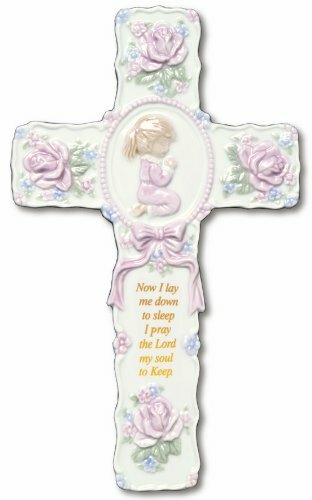 A gift that would remind them of the solemnity of the moment, or of the beautiful things and emotions that were experienced.